Breaking News: Free Mind-blowing Summer Reading! This spring marks the three-year anniversary of the publication of my award-winning spiritual adventure novel, Snooze: A Story of Awakening. Snooze tells the story of young Max Diver as he learns to harness the power of his dreams to transform reality. Max’s “Hero’s Journey” traces a mind-bending loop from our world to the Otherworld of sleep—where deadly prehistoric creatures lie between Max and his endangered father—and back again. Over the past three years, Snooze has amassed loads of critical acclaim, winning the National Indie Excellence Award for New Age Fiction (2015), being chosen as a Readers’ Favorite International Book Award Finalist in the Young Adult-Coming of Age category (2016), garnering an Honorable Mention in the Beach Book Festival Prize Competition in the General Fiction category (2014), and receiving almost exclusively 5-star reviews. For the month of May, in celebration of Snooze’s success, readers can download a complimentary Kindle/Mobi or ePub version of the book to enjoy this summer. 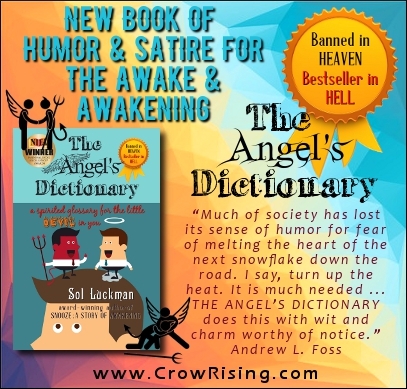 Speaking of, readers with an irreverent sense of humor might be interested in a free excerpt from my latest book, The Angel’s Dictionary: A Spirited Glossary for the Little Devil in You. 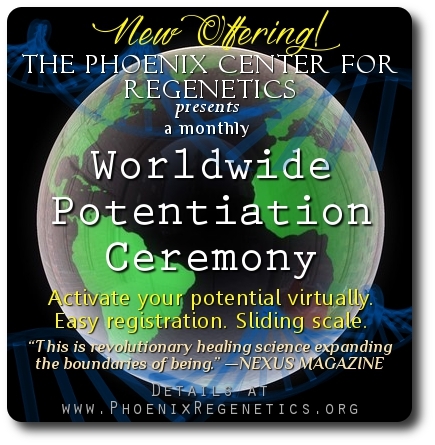 Those in need of healing and/or personal transformation might get a lot out of my monthly Worldwide Potentiation Ceremony. And now for the moment you’ve been waiting for ... Sign up below to receive your ebook of Snooze. This offer expires May 31, 2017. Happy summertime reading—and sweet dreams! A recently declassified document that was unearthed through the Freedom of Information Act suggests that the Chinese government has conducted massive-scale studies on superhuman powers like telepathy, psychokinesis, approbation, aerokinesis, clairsentience, clairaudience, and more. The US Central Intelligence Agency was appraised of these studies, and could have conducted similar investigations, all while keeping the results hidden from the general public. The document, titled “Chronology of Recent Interest in Exceptional Functions of the Human Body in the People’s Republic of China,” can be found on the CIA’s website, and details studies which the Chinese government and other agencies funded to test thousands of children to see if they had superhuman abilities. The government was so interested in the possibility of these superhuman individuals, that hundreds of testing centers were set up across China. Though they do not reveal the results, except for the mention of one individual, a Qi Gong grandmaster, Zhang Baosheng, who was able to “smell” the contents of messages written on folded slips of paper, and once relocated physical objects from inside sealed containers to another location. Baosheng was named by high-ranking communist leaders as a “healer with extraordinary powers” in the 1980s. Baosheng was later arrested for fraud in 1995. It is said that he and others of the Qi Gong movement took a “shortcut to scientific exploration” and utilized weird science and superstition to promote their abilities. This isn’t to say that Baosheng and others don’t have superhuman skills. There are numerous studies that are publicly available confirming this. Princeton scientists have found that telekinesis, or psychokinesis is very real. In the famous children’s tale Alice in Wonderland, the White Queen tells Alice that “memory works both ways.” The superhuman power of clairaudience (along with many other “clairs”) have also been scientifically documented. Dr. Bem, a social psychologist at Cornell University, has conducted a series of experiments that are published in one of the most prestigious psychology journals (Journal of Personality & Social Psychology). Across nine experiments, Bem examined the idea that our brain has the ability to not only reflect on past experiences, but also anticipate future experiences. This ability for the brain to “see into the future” is often referred to as psi phenomena. He used well established, standard scientific methods to study this phenomenon and found that we are all equipped with the ability to see into the future. It seems some of us have just developed this ability, either with practice, or through the gift of birth, to a more advanced degree. If this is indeed true, then hundreds of thousands of children (and adults) could easily manipulate matter with the frequency of their thoughts. The US government has similarly conducted parapsychology studies. The Stargate Project was the code name for a secret U.S. Army unit established in 1978 at Fort Meade, Maryland, by the Defense Intelligence Agency (DIA) and SRI International (a California contractor) to investigate the potential for psychic phenomena in military and domestic intelligence applications. The project was loosely reference in the film The Men Who Stare at Goats. The fact that China’s government was involved in the study of parapsychology and that the CIA deemed it too dangerous to reveal to the public (while the US government was conducting its own studies) is telling. Are these skills being used against us? And are we being dumbed down by frequency so that we cannot realize our innate gifts to heal, read thoughts, move objects with our minds, and a myriad of other superhuman feats? Knowing what is possible is a good step in the right direction. Our evolution as conscious creatures has only just begun. Copyright © Christina Sarich. All Rights Reserved. Christina Sarich is a musician, yogi, humanitarian and freelance writer who channels many hours of studying Lao Tzu, Paramahansa Yogananda, Rob Brezny, Miles Davis, and Tom Robbins into interesting tidbits to help you Wake up Your Sleepy Little Head and See the Big Picture. Her blog is Yoga for the New World. Her latest book is Pharma Sutra: Healing the Body & Mind Through the Art of Yoga. Medicine is undergoing an existential crisis today. Its core value proposition—to help and not hurt—is failing to manifest. Patients are suffering. Doctors are suffering. The only exuberant party on the battlefield against disease is the pharmaceutical industry, an industry whose annual causalities far exceed the death total from our two decade long involvement in the Vietnam war. The entire system is on the precipice of a collapse, if not for economic reasons alone, then certainly for ethical and intellectual ones. The irony is that the system has become so ineffective and dangerous that avoiding medical treatment (excluding perhaps emergency care) has become one of if not the best healthcare strategy you can implement to protect your health and well-being. Nowhere is this clearer than in the realm of cancer. Over the past few decades, billions have been spent on screening asymptomatic populations to “prevent cancer,” with the result that millions have been assigned with questionable diagnoses (e.g., “early stage-” or “stage zero-cancers”) and then shepherded into chemo, radiation and surgery treatments as if watchful waiting, or better yet, making significant nutritional and lifestyle modifications, would be a suicidal approach vis-à-vis the inexorability and presumed lethality of genetically determined cancer. We needn’t detail the misery this approach has produced, but suffice it to say that despite the industry’s claims of thousands of “lives saved” from the detection of “early cancers,” breast and prostate cancer specific mortality has at best stayed the same, and may have actually increased in some cases. In light of the fact that the financial costs of misapplied treatment in some cases is so high that the uninsured, their families, and society as a whole, face bankruptcy, the situation is dire indeed. Even after the cat was let out of the bag in 2013, and a National Cancer Institute commissioned expert panel concluded that labeling screening detected lesions known as ductal carcinoma in situ (DCIS) and high-grade intraepithelial neoplastic hyperplasia (HG-PIN) (colloquially labeled “breast cancer” and “prostate cancer,” respectively) as carcinomas (“cancer”) is no longer justified. Instead they opted for redefining what were previously considered potentially lethal cancers as “benign or indolent lesions of epithelial origin.” Yet, you hear virtually no mention of this change anywhere. Tens of thousands are still being diagnosed with the same “cancers” and being cut, poisoned and burned, without informed consent. The lack of acknowledgment and discussion about these tremendous diagnostic “errors” is less surprising when you consider that about 1.3 million U.S. women were wrongly treated for breast cancer in the past 30 years, with prostate and lung cancer representing two additional icebergs upon which the Titanic cancer industry is presently running itself aground, regardless of whether the medical establishment will accept responsibility. Ignoring the truth that millions suffered needlessly, it would seem, is less painful than admitting wrong, and dealing with the psychological and financial fallout that inevitably follows. But is it possible to stem the tide much longer against the inevitable transformations brewing? The most widely accepted definition of “overdiagnosis” is “diagnosing a person without symptoms with a disease that will (ultimately) never cause symptoms or death during the person’s lifetime.” It should not be confused with misdiagnosis or false-positive findings, which are completely different entities and outside the scope of this commentary. As the generally accepted definition encapsulates downstream effects (i.e., “would otherwise not go on to cause symptoms or death,” the real issue lies with “overtreatment’” of these accurate diagnoses rather than overdiagnosis itself. Overtreament does not happen in a vacuum. The very industries that produce the treatments also create and supports the “awareness campaigns” that not only use fear to corral the population into screening, but also “pinkwash” away their true causes. Breast cancer awareness month talks about needing a cure but not the causes right under our noses (i.e., carcinogens). Therefore, the more diagnoses that are generated, the more treatments will be “recommended,” resulting in greater revenue and profit—an economic growth model that itself can only be described as a malignant process at least as violent as, if not more than, the disease it is claiming to treat and manage. The effects of treating inconsequential lesions, rather than their diagnosis per se, result in increased morbidity and cost without added benefit. Society as a whole should strive to treat individuals who should be treated and not those who would not benefit. The 13th law of Shem, true in 1978, remains true today. Essentially, modern medicine has become our most Orwellian institution, with “detecting cancer early” the biomedical equivalent of the Thought Police detecting crime before it happens. The prognosticating itself, is a highly toxic process (nocebo: e.g., “You have cancer and 6 months to live”) that can contribute to evoking cancer-promoting physiological reactions, as well as inflicting real psychospiritual wounds that have been determined to dramatically increase the risk of heart-related deaths and suicides. Medicine has also adopted the metaphorics of another powerful global force: the military-industrial complex, with the cancer “prevention” being equated to “striking first,” eerily similar to the Bush doctrine of preemptive war to secure peace. Here, the precautionary principle is co-opted and inverted from its true meaning. Instead of “doing no harm,” unnecessary medical intervention is considered the only nonviolent solution even when the collateral damage is so great that the patient often dies from the violence of “treatment” with weapons-of-mass-destruction grade radioisotopes and chemicals and not the condition. We need to completely rethink medicine’s role in healing. What happens when we return to the fundamentals of an entity—the human, soul and body together—whose self-healing capabilities are so powerful that even the suggestion through sugar pill or kind word of a health practitioner that a disease can attenuate or disappear actually causes significant improvement? What if given the right conditions—clean air, water, food and a healthy environment, physically and emotionally—the conditions for disease were suddenly removed, and replaced with an opposite environs promoting health? If medicine makes it through the birth process of its own existential crises, these principles will invoke an entirely new medical model where the placebo effect is not to be “controlled for,” but liberated and expanded by educating the patient to the fact that they can and do heal themselves, mainly by avoiding medical treatment and doing the right amount of nothing. Copyright © [8/28/15] GreenMedInfo LLC. This work is reproduced and distributed with the permission of GreenMedInfo LLC. Want to learn more from GreenMedInfo? Sign up for the newsletter at http://www.greenmedinfo.com/greenmed/newsletter. It’s springtime, with summer on the horizon, and many people are looking to get in shape, get back in shape, or just simply get outside and get some fresh air daily. There are several benefits to going for a brisk walk, especially in the morning, some of which you may not realize. Now, even science is proving that your feet’s impact increases blood flow to not only the heart and other muscles, but walking sends pressure waves through the arteries that increase the supply of blood to the brain. Research presented at the Experimental Biology 2017 annual meeting shows walking dynamically regulates blood circulation to the brain. Researchers at New Mexico Highlands University (NMHU) discovered something amazing. Until now, scientists and health researchers thought cerebral blood flow was only involuntarily regulated by the body, and that changes in blood pressure from exercise did not affect the blood supply to the brain. Using noninvasive ultrasound to measure carotid artery blood velocity waves and arterial diameters, the NMHU researchers measured cerebral blood flow on both sides of the brain. The effects were contrasted between the 12 healthy young adults while they were standing upright during rest and then while steadily walking about one meter per second. Though the blood circulation effects in the brain are less than those from running, they were greater than cycling, since cycling does not involve any foot impact. From brain power to self-esteem to cancer prevention, a morning walk is proving to be a huge asset for mental and physical health. Get ready to jumpstart your energy for the entire day. You don’t have to join a gym or cycle 10 miles to get in shape and get healthy. You don’t have to “cross train” or run in mini-marathons to lose weight, fight disease and get smarter. When people say that “there’s no easy way out,” they’re wrong, because walking is easy. Daily morning walks can help you regulate your sleep cycle, lower your risk of breast cancer, burn glucose, improve blood sugar levels, improve blood circulation, and increase the flow of oxygen to the brain. Want improved mental faculties? Walk. Want to raise your self-esteem? Walk. Want to reduce stress? Walk. S.D. Wells is a writer for NaturalNews.com, where this article originally appeared. The creative life is not about slogans and systems. It is about EXPERIENCE. Because it’s not part of the BELONGING PROGRAM, the program that society runs on to stay away from the transforming power of CREATION. The most widely accepted definition of “overdiagnosis’” is “diagnosing a person without symptoms with a disease that will (ultimately) never cause symptoms or death during the person’s lifetime.” It should not be confused with misdiagnosis or false-positive findings, which are completely different entities and outside the scope of this commentary. As the generally accepted definition encapsulates downstream effects (i.e., “would otherwise not go on to cause symptoms or death,” the real issue lies with “overtreatment’” of these accurate diagnoses rather than overdiagnosis itself.